S.L. Hartz (1912–1995) studied in Amsterdam at the State Academy of Fine Arts and specialized in copper engraving. In 1936 he joined Joh. Enschedé en Zonen as an apprentice engraver and eventually become the firm’s Art Director after the death of Jan Van Krimpen. 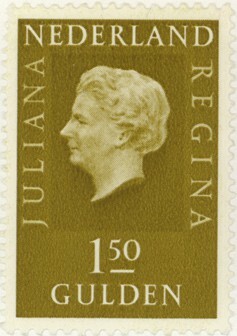 In addition to the hundreds of postage stamps and banknotes he designed and engraved for the Netherlands and colonies, Belgium, and Luxembourg, he designed typefaces for Linotype and Enschedé. Learn more about his Juliana here.